Sweet, creamy and delicious, banana pudding is a traditional Southern treat. 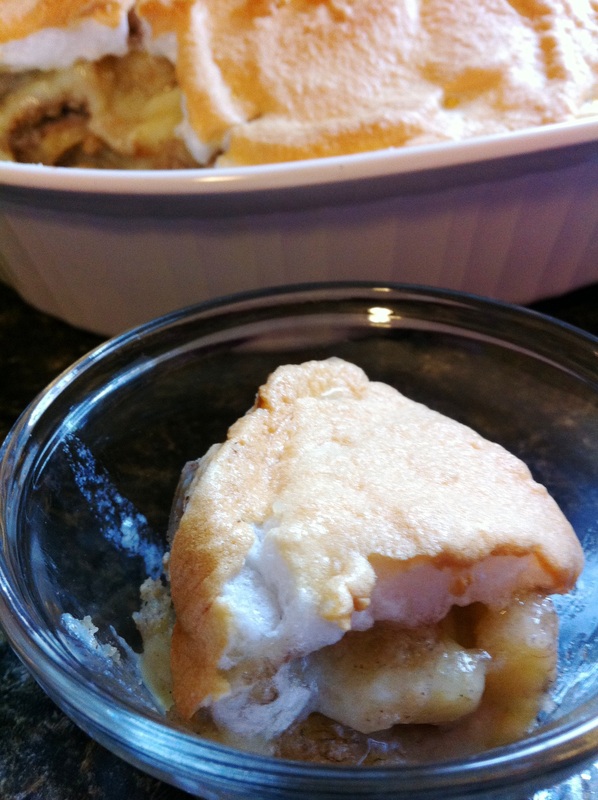 A traditional Southern dessert, our banana pudding gives a sweet, creamy finish to any meal. Combine first 3 ingredients in a heavy saucepan. Beat egg yolks; combine egg yolks and milk, stirring well. Stir into dry ingredients; cook over medium heat, stirring constantly, until smooth and thickened. Remove from heat; stir in 1 teaspoon vanilla. Layer one-third of wafers in a 3-quart baking dish. Slice 2 bananas, and layer over wafers. Pour one-third of custard over bananas. Repeat layers twice. Beat egg whites at high speed with an electric mixer until foamy. Gradually add 1/4 cup plus 2 tablespoons sugar, 1 tablespoon at a time, beating until stiff peaks form. Add 1 teaspoon vanilla, and beat until blended. Spread meringue over custard, sealing to edge of dish. Bake at 325°F for 25 to 30 minutes or until golden.